Bespoke by Evans presents high quality FR contract fabrics, contemporary designs & interior solutions for the healthcare, hospitality, education and leisure markets. Our Contract FR collection has been beautifully designed and is flame retardant certified to British Standards. There's 42 options available, all designed with the latest contemporary styles in mind and digitally printed onto high-preforming FR fabric. Request your FREE swatches online today. Create your own personalised collection of FR fabrics by collaboratively working alongside our team of expert designers. You'll have endless possibilities at your fingertips and support of qualified designers. Ideal for any design scheme. Request a FREE initial design concept to get started. 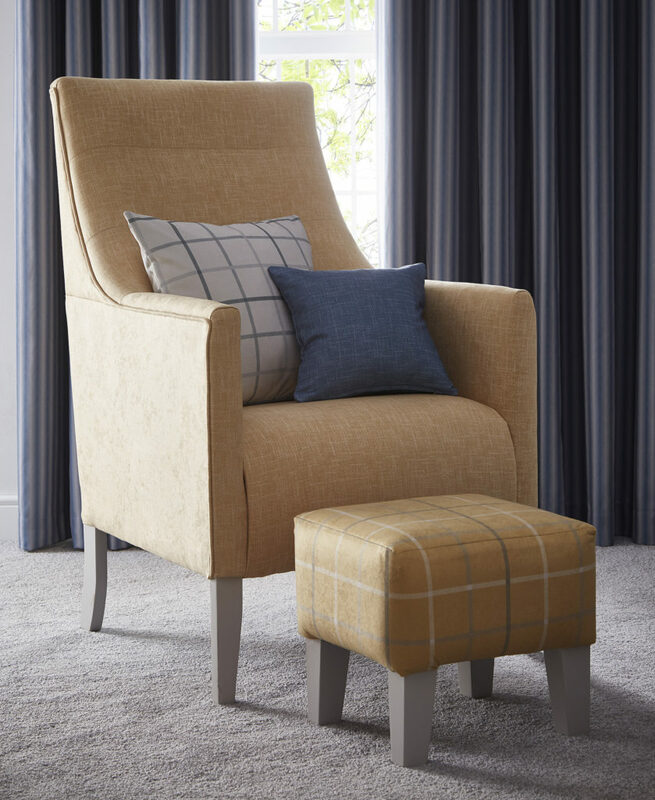 Unlike other suppliers, we won't just sell you a fabric, we'll be your long term partner and help you create distinctive interiors suited to the needs of your clients. That's why we're proud to provide the total solution; our 'one stop shop' of all the essential elements that coordinate to your design scheme - saving you valuable time, money and resource. Evans Textiles proudly presents Bespoke by Evans – the most stylish and tailored contract fabric designs coupled with the hardest working fabrics and interior solutions. We offer a contemporary twist on the traditional designs you’re likely to see. We feel strongly about improving the designs presented in many pattern books and that’s why we’ve introduced new refreshing colourways, patterns and textures that bring ‘home-away-from-home’ to the end-user. We also have the ability to create bespoke designs suited to you and your clients' specific needs. By choosing our total solution, you’ll enjoy peace of mind knowing that the essential elements will comes on schedule and within budget all from one trusted provider. Bespoke by Evans offer everything you and your client needs for a contemporary and compliant design scheme. Contact us for a no-obligation appointment with an expert advisor or request a free brochure.